Here are the forecast wind gusts at 5am MST Tuesday morning. 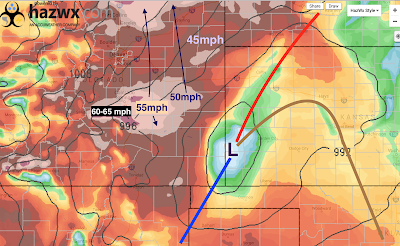 Of course, the wind pattern will change during the morning. 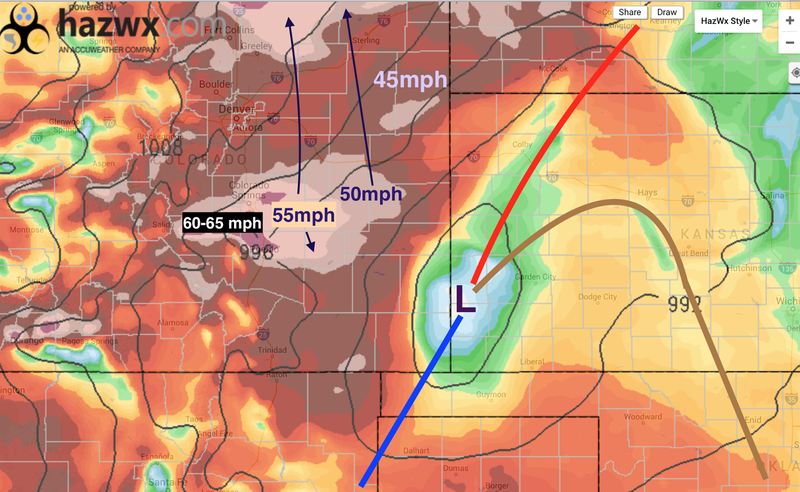 The point of posting this is to show that extreme winds will accompany the snow in eastern Colorado, thus the blizzard warning. Extremely hazardous conditions will exist after midnight along I-25, I-70, I-76 and also I-80. 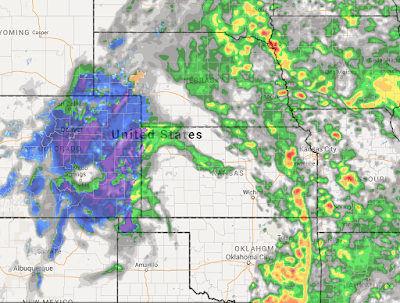 Here are the forecast precipitation conditions, first at 7pm MST this evening. The purple is very heavy snow. 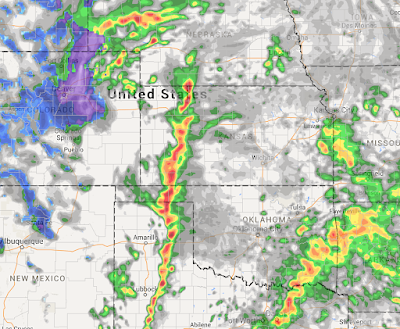 AccuWeather's model (not shown) indicates the potential for "thundersnow" which presents a risk just like lightning in the summer. with the blizzard fully in progress in the central High Plains to the Foothills. I urge you to take this forecast into consideration with regard to your travel plans. 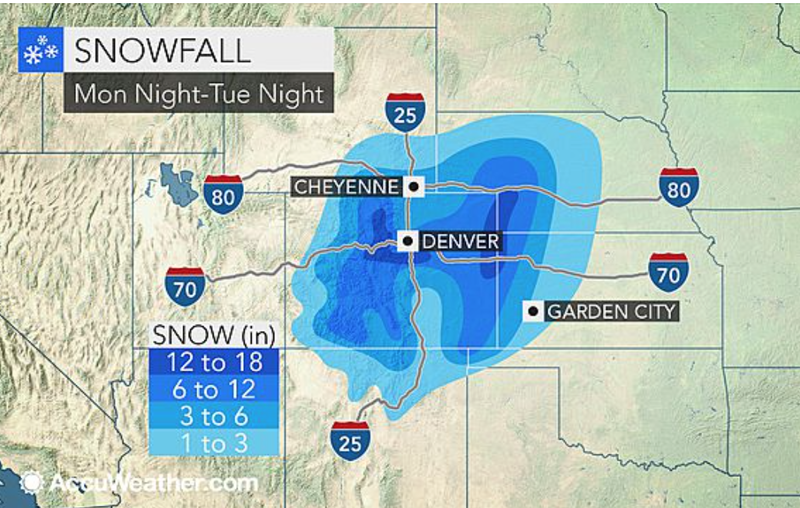 There will be spots in the Foothills communities near Denver that receive more than 20 inches. AccuWeather has more details. If you are planning to travel to or through Denver tomorrow, there is a very good chance of flight delays. You might want to call the airline to see if you can be re-routed around Denver.